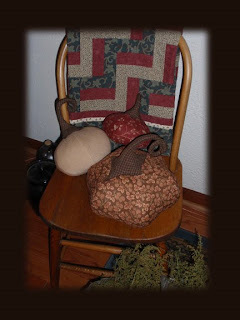 canning, dehydrating, and freezing this summer has kept me busy and away from my sewing machine!!!! I won, I won, I won!!!! 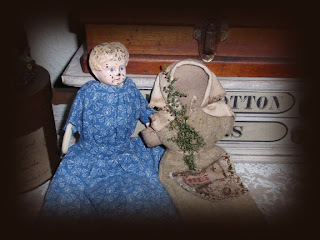 The gorgeous little prim gal on the right was a giveaway from Betty Dukat at http://primitivebettys.blogspot.com/ ... isn't she great??? Love her to bits!!!! Thanks sooooooooooooo much, Betty! She's a treasure!!!! 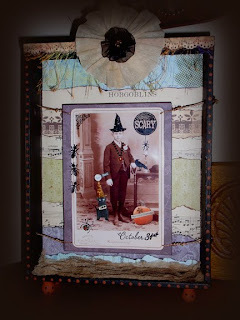 and a spooky Halloween shadowbox ... wish I had gotten pictures of all of our things together when we were there ... every piece distinctly different ... and oh so spooky!!! 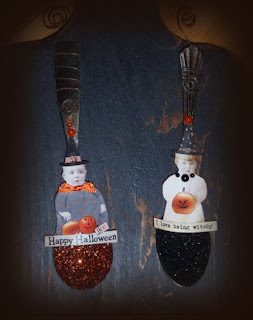 and some Halloween spoons ... fun, fun!!! 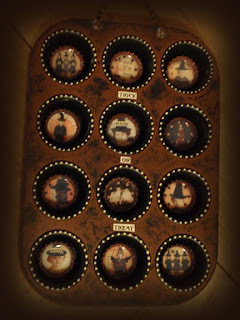 Wow, Teresa, I love the Spooky Muffin tin! And the spoons! Gets my brain going in all kinds of directions. 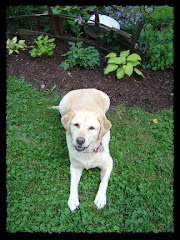 Don't tell Terri, but you are a much better photographer. I can clearly see spoons in your photo and not shoes! LOL! Everything looks great! Love those pumpkins!